Sending parcels overseas with NZ POst. So it is Christmas-time and you want to send some Kiwi treats back home whilst you’re on your working holiday? How nice of you. The other scenario could well be that you want to send your crap home, since you have accumulated too much stuff! Either way, this article will give you the ins and outs of sending mail overseas from New Zealand with NZ Post services. 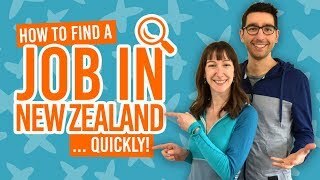 Since you are being nice, we are too by making a very simple guide of everything you need to know about sending mail internationally from New Zealand. Bear in mind that as much as we try to keep all our priced example up to date, this might change from time to time. When sending mail, make sure to refer to your nearest NZ Post shop for up-to-date prices. Additionally, see the bottom of this article for the Christmas deadlines for sending mail overseas, because that would really be a shame that your thoughtful gifts arrive late. Sending a postcard overseas will set you back only NZ$2.40. Sending a large letter cost NZ$3 to Australia and NZ$3.60 to the rest of the world. 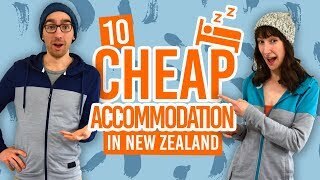 More options are available for bigger letters but never exceeds NZ$6. Quick tip: Don’t forget to place a “International Air” sticker in the upper left hand corner for faster processing. You can find them for free in any post shop. See here for information on sending mail within New Zealand. To send parcel overseas, NZ Post has a range of international delivery services that are designed to meet every need, from fast but expensive delivery to cheap but slow delivery. Couriers are in the “fast-but-expensive” category. You will have two options: International Courier or International Express Courier. Here is a quick breakdown of the prices and other important information. Note: NZ Post prices increase by a small percentage each year since 2016. Expect a price rise from the prices listed below – around a 5% increase on courier parcels and 17.9% on express courier. This option is open to 46 destinations and offers a door delivery with tracking and signature upon reception for parcels under 30kg. Delivery in target time is set for 2-6 working days. For this option you will be charged by actual weight. It means that if your parcel weighs 0.852kg, for example, it will be charged as a 0.852kg parcel. This option is open to 220 destinations and offers door delivery with tracking and signature upon reception for parcels under 30kg. Delivery in target time is set for 1-5 working days. Keep in mind that you will be charged the greater of actual or volumetric weight. It means that if your parcel weighs 0.852kg for example, it will be charged as a 1kg parcel. This is the cheapest option offered by NZ Post and while delivery time is longer, prices are 2-3 times cheaper than the option above. International Air is open to 220 destinations and offers a door delivery without tracking or signature for parcels under 20kg. Delivery in target time is set for 3-10 working days. For this option you will be charged by actual weight. It means that if your parcel weighs 0.852kg for example, it will be charged as a 0.852kg parcel. For parcels under 2kg and less than NZ$250 value, you will have to fill up a tiny Customs Declaration (OS008a). This green form is really easy to fill out: simply detail the content of your parcel and its retail value. For all other international parcels and any of the International Courier options, you will need to fill a Consignment Note (CN300). This white form is essentially the same one than the small green form except it adds the sender’s contact details (your’s) and the recipient’s one. As with every official form, it is important to fill out the fields correctly and accurately. Don’t use a vague description if you want to avoid having to fill out the form again. Remember, if you are having a parcel sent to you in New Zealand from overseas, it will go through New Zealand customs. Learn about the restrictions on what you can send to New Zealand in Care Packages: Restrictions on Imports and Courier Packages into New Zealand. Every year NZ Post issue Christmas deadlines to make sure that your parcel will be delivered before this special day. For more Christmas goodness, head to What to do for Christmas in New Zealand.